The blank map of Arizona provides information to the users about certain aspects of the state such as its neighbors and capital city. The user will get a clear insight into the outline of the state as well as its boundaries. The state shares its borders with the states of Virginia, Tennessee, Georgia and South Carolina which are shown on the map. The map also depicts the Atlantic Ocean which is located to the east of North Carolina. 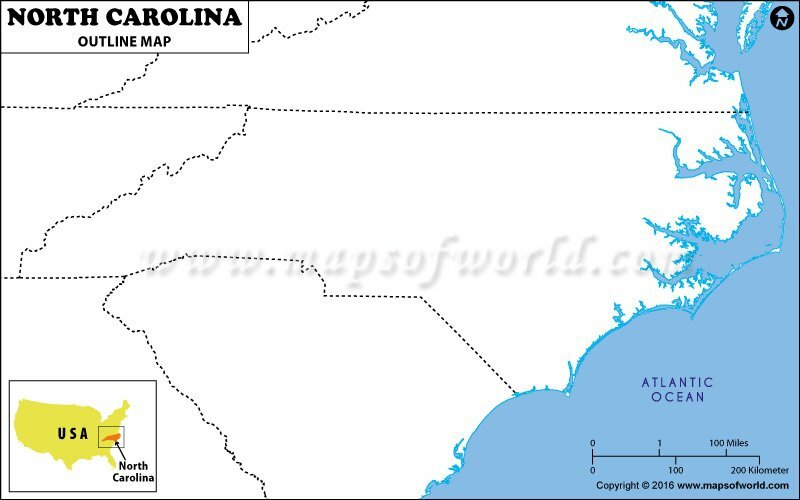 The blank map of North Carolina also displays the accurate location of the capital of the state, Raleigh. Prepared by talented cartographers, the map would be highly beneficial for school students.